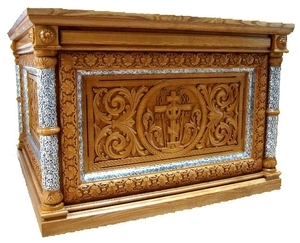 Beautiful traditional hand-made holy oblation table. 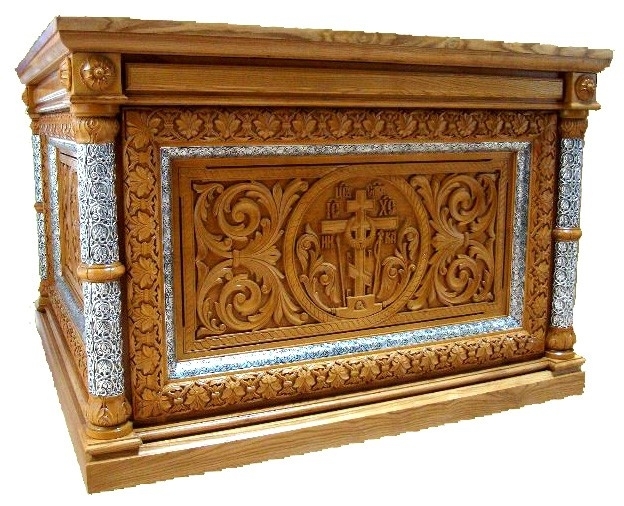 Pine-wood, lime-wood, hand-carving, basma, laquering. Size: 47.2''x47.2''x39.4'' (120x120x100 cm).